These stories typically appear during times of doubt and can help viewers reclaim the goodness and innocence in themselves, reminding them they can overcome the evil they see in the world. When Lucas set out to create Star Wars – against the backdrop of Vietnam, Watergate and the assassinations of the Kennedy brothers and Martin Luther King, Jr – he had his work cut out for him. Film is sometimes described as a “dream screen” – a mirror, when held in front of an audience, reflects both the personal and collective subconscious of our culture. It’s a place where all our hopes, fears and desires find expression. Rather than Star Wars existing as something outside of viewers, it takes root within. Many were exposed to the Star Wars films as children. Some acted out scenes at home and at school, investing time and creative energy into a fictional universe and characters who became like an extended family. 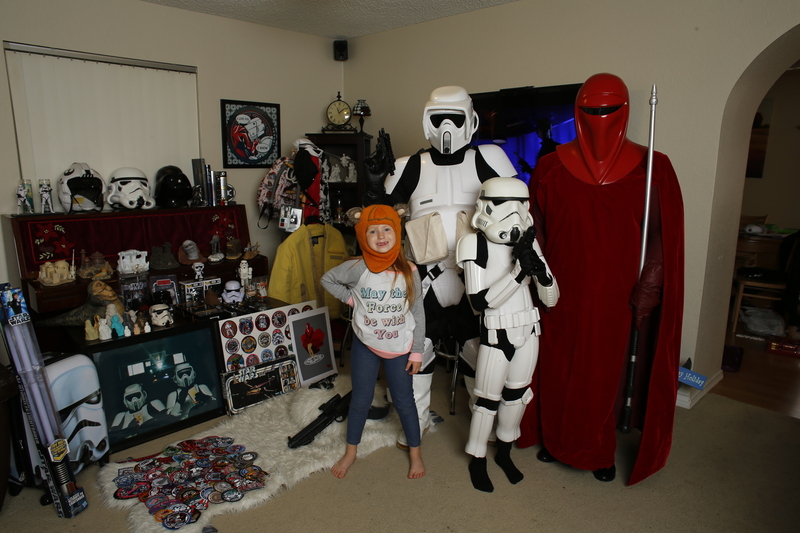 For them, their “best birthday ever” became indistinguishable from the experience of playing with friends, the cutting of the cake – and their new Star Wars action figures. 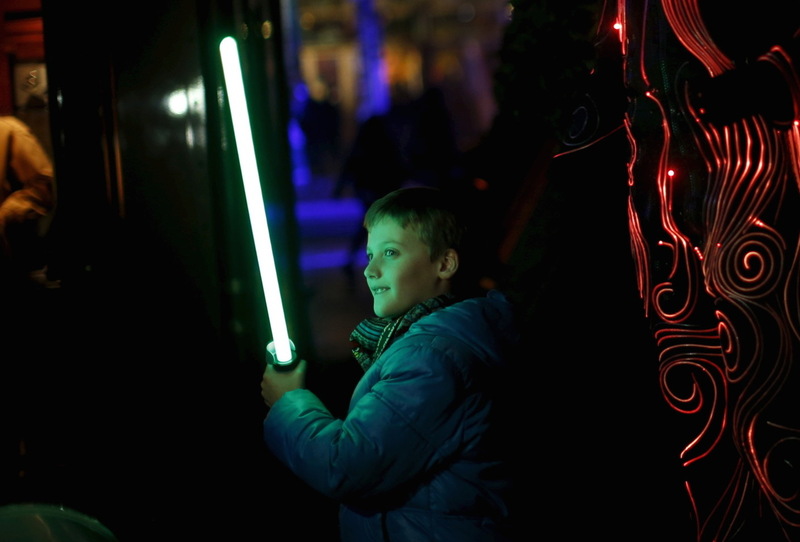 A boy wields a toy light saber. Situated in an advertising and media landscape that often overpromises and underdelivers (“Buy this and you will be happy”), the world of Star Wars helps fans create meaning when they might otherwise be unfulfilled. Even when surrounded by people, our attention is diverted – we are distracted, disembodied, absent – existing everywhere but in the present. The connections made through social media are often frayed, and can even lead to heightened feelings of isolation or loneliness. Star Wars: a saga that spans generations. Waiting in line for days to buy tickets, wearing your favorite Star Wars t-shirt to school and dressing up as your favorite character at a convention are all social touchstones – icebreakers that facilitate a sense of community and belonging. Star Wars is, of course, different from religion in a number of ways. But it still allows us to transcend the everyday and enter a sacred realm – a place where we can glimpse the Holy Land of our better selves and become the heroes we want to be.